The odds of being a bestselling author are very low. Sure, if your book is great and you promote the heck out of it and you have great distribution and it’s timely and you are lucky, you have a shot. But two factors limit you – one is space. The other is money. Money limits your ability to hit the list. Money can buy advertising. It can pay for a savvy marketing and PR campaign. It can be invested to make your SEO and web site strong. It can be used to unleash a social media campaign. 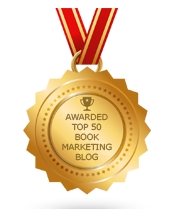 Most importantly, it can be used to literally buy your way onto a major bestseller list. There are firms out there that could charge as much as several hundred thousand dollars to get your book on the NYT bestseller list. A good chunk of that fee is used to buy and give away books to a big mailing list. But even that strategy can’t work all the time. Why? There simply are so many “bestseller” slots. If the NYT has 52 weeks worth of bestsellers, with each list featuring 15-20 books per category (i.e. Hardcover fiction, digital non-fiction, etc. ), the most you could have is a few thousand books being a NYT bestseller in a given year – and that’s only if all the available slots on a list completely turn over every week – which they never, ever do. Considering there are about 1,000 books published daily just from traditional publishers – and perhaps several times that from self-published – the odds of being a bestseller are increasingly decreasing. This doesn’t – and shouldn’t stop authors from seeking to make a bestseller list. The goal for most authors is to have a successful book, which doesn’t get defined by being a bestseller or making the cover of People Magazine, even if authors dream of such things. A successful book is one that informs, enlightens, inspires, or entertains. It is one that gets read and recommended to others. It is one that impacts its readers and leads to real-life changes. It is one that leads to additional books by the author, and helps establish or further that author’s brand. A truly successful book lives beyond the author’s lifetime and lends a voice to the dialogue and debate out there. But if you’re looking to make a bestseller list and feel you have what it takes to hit a list, know that only so many cars fit into this parking lot, no matter how nice your car is or what you are willing to pay to park it. Nice post. I agree with you when you say that the goal for most authors is to have a successful book. Even though my two books don't sell masses amounts of copies, I can say they're successful from the reviews they've received.